In February, it was announced: SafeGuard LAN Crypt will reach its end-of-life this year. Many Companies trust in Sophos’ encryption solution, to protect their data and networks. Those organizations have until the 30th of September to choose an alternative, and to figure out, how to continue with their security strategy. One alternative is Boxcryptor, an encryption solution from Germany that encrypts clouds and NAS’ in a flexible and scalable way. Read on to find out about the features of SafeGuard LAN Crypt compared to Boxcryptor. We will help you figure out if this is a fitting alternative for your company. End of Life of SafeGuard LAN Crypt is the 30th of September 2019. The German company conpal GmbH will take over the Sophos solution. The alternative Boxcryptor encrypts your NAS and, additionally, offers everything you need for the secure use of the cloud. For example: Single Sign-on, customer-managed keys, Active Directory support, auditing features, and much more. What is SafeGuard LAN Crypt from SOPHOS? SafeGuard LAN Crypt encrypts files directly on the user's computer and enables collaboration on encrypted documents and data in teams. The software is mainly used by companies with many employees, to encrypt NAS systems. With SafeGuard LAN Crypt only authorized persons in an organization have access to sensitive data. Policies can be set to manage permissions for users and user groups. The encryption happens in the background and, therefore, does not interrupt workflows. Boxcryptor offers these features as well, and many more. One additional advantage of Boxcryptor is the fact that the software is optimized for the encryption of the cloud. 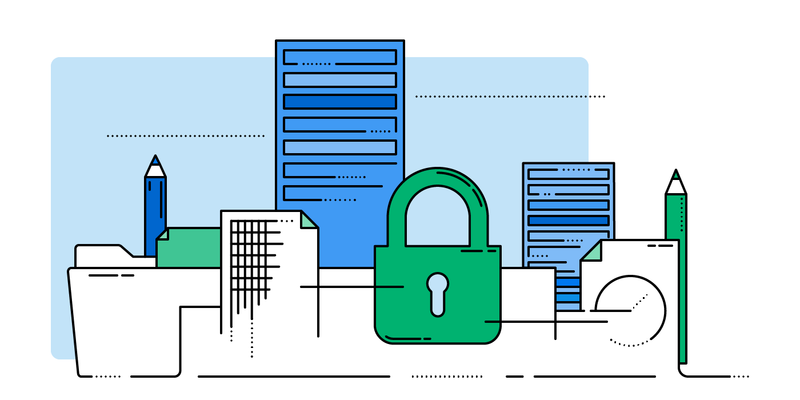 You cannot only encrypt your company’s NAS, but any cloud that is used by your organization, as well. The data is encrypted on the user’s device on-the-fly in the background, before it leaves the device of the user. This way, only securely encrypted data reaches the cloud. Boxcryptor supports all major cloud providers and works on all operating systems and devices. For this reason, the new software can integrate seamlessly into the existing IT infrastructure. Boxcryptor is optimized for collaboration and teamwork and our team plans Boxcryptor Company and Enterprise were developed specifically to meet any company’s security and collaboration requirements. Single Sign-on: Set up more efficient and simpler user management. Active Directory Support: Integrate Boxcryptor into your workflow faster. Account Capture and Customer-managed Keys for more control. Personal Setup Assistance: We help you get started with Boxcryptor Enterprise, whichever way you prefer. Master Key: Stay in control of your company’s data. Reset User Passwords: Reset forgotten user passwords to prevent data loss. Group Management: Create groups for different levels of data access. Customizable Policies: Comply with your security guidelines in a simple way. Encryption at military standard, “Made in Germany” – this is Boxcryptor. Since the company was founded, we have already received several awards, including the German Founder’s Award. Our 30-member team of crypto experts and software developers will help you set up Boxcryptor. Experienced account managers are always at your side if you have any questions. Get to know Boxcryptor with a free 14-day company trial. Conveniently test Boxcryptor in your organization with our free 14-day trial. If you decide to continue with a paid plan afterwards, additional setup steps are not necessary. You can get started right away without any interruptions.